The Residences at Deer Creek team is a dynamic group with a passion for serving. We believe in maximizing the lives of those we serve and of their families through respect, compassion and excellence. 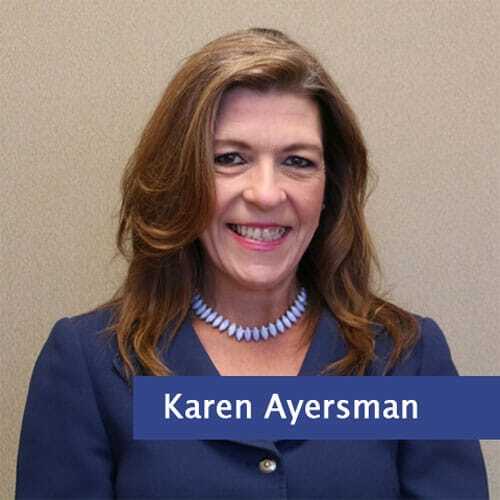 Karen Ayersman is the Executive Director at Residences at Deer Creek in Schererville, Indiana, and has more than 20 years of experience and specialized knowledge in long-term care, skilled nursing and assisted living. 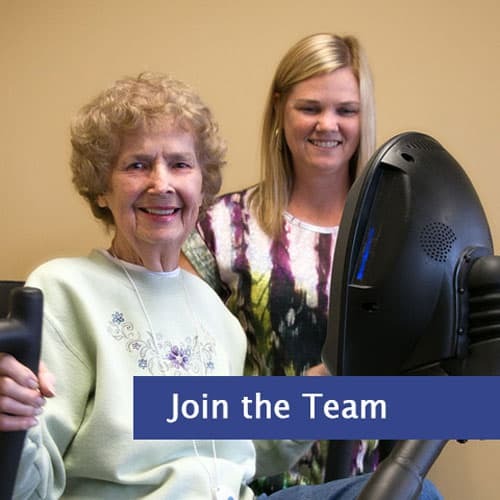 Prior to joining Residences at Deer Creek, Karen was a Licensed Health Facility Administrator and preceptor (trainer) of senior living administrators in Wisconsin. In 1996, she moved to Schererville where she met her husband Brian and has since served the Northwest Indiana community. Karen’s role as Executive Director is to develop an outstanding leadership team with the same high level of compassion and desire to serve the residents and their loved ones. She prides herself on making positive changes in the lives of seniors, their families and her staff in the communities she has served. Passionate about continuously engaging in professional training, Karen feels the insight provided alters perspectives and changes the way staff approaches caregiving, along with giving the gift of greater empathy to families who have a loved one with dementia and other chronic conditions. She is a Certified Alzheimer’s Disease and Dementia Care Trainer (CADDCT), meaning she is equipped to prepare front line staff and train health care professionals to become Certified Dementia Practitioners. Karen is most passionate and alive when creating solutions to better the lives of our seniors. She also enjoys spending time with her husband, three children and grandson, traveling with her son to his sporting events, reading and staying active by taking her dog Sasha on long walks. Loveta Lee is the Director of Resident Services at Residences at Deer Creek in Schererville, Indiana, and has nearly 30 years of experience in geriatric nursing, including long-term care, skilled nursing and assisted living. Serving on the Nursing Advisory Board for Ivy Tech Community College of Indiana (her alma mater), Loveta is passionate about training and mentoring new nurses and CNAs. Loveta’s role as Director of Resident Services is to train an exceptional care team with the same high level of compassion and ensure that the residents receive the highest quality of care possible. 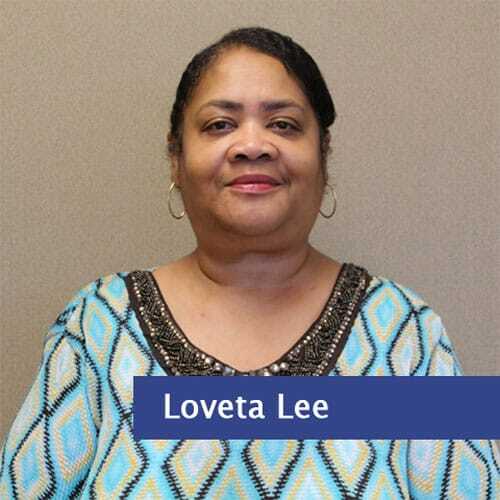 A strong believer in on-going education, Loveta is a Certified Alzheimer’s Disease and Dementia Care Trainer (CADDCT), so she can prepare front line staff and train health care professionals to become Certified Dementia Practitioners. In 2016, Loveta was nominated for the Outstanding Nurse Leader Award through the Indiana Assisted Living Association, a state-wide honor, due to her outstanding contribution to the community. Loveta is passionate about caring for seniors and making their lives as comfortable and enjoyable as possible. She also enjoys spending time with her husband, children and grandchildren, traveling and spending time with her church family. 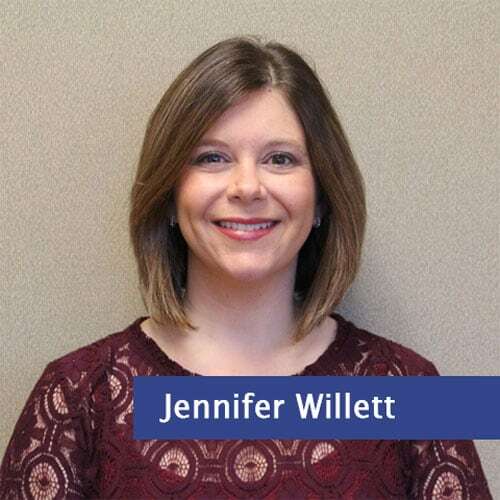 Jennifer Willett is the Business Office Director at Residences at Deer Creek in Schererville, Indiana, and has more than 15 years of experience in banking and office management. Upon graduating with honors from Purdue University, Jennifer was a personal banker and assistant manager for five years at a local financial institution, Bank Calumet, now known as First Midwest Bank. During the past nine years, however, she worked in the office manager/business office director capacity for two non-profit arts organizations, South Shore Arts and the Northwest Indiana Symphony Orchestra, and two local law firms. Her passion for working with numbers, coupled with her desire to help others, led her to the health care industry, and she joined the RDC team in August 2015. Jennifer is truly grateful that she can continue to do what she loves in an environment dedicated to caring for seniors and their families. 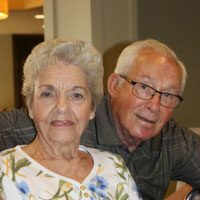 She enjoys connecting with the residents through their day-to-day activities, as well as learning about their remarkable lives. Jennifer also appreciates the awesome team that she works with every day and feels that she’s found her niche. Jennifer enjoys spending time with her husband, two children, dogs, traveling with her son to hockey games and vacationing with her family. 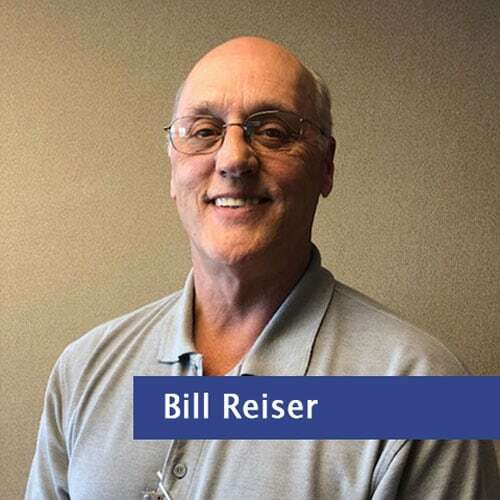 Bill Reiser is the Director of Plant Operations at Residences at Deer Creek in Schererville, Indiana, and has more than 30 years of experience in positions of increasing responsibility in building and facility maintenance at health care facilities in Northwest Indiana. In his role as Director of Plant Operations, Bill ensures that the residents are safe, happy and comfortable. Bill prides himself on being a reliable resource to both residents and staff. Bill is most passionate about going above and beyond to problem solve in a creative way. He enjoys the tangible way he can help to improve the lives of our seniors by crafting custom solutions to meet their needs. He also enjoys connecting with and getting to know the residents, learning about their lives and their wealth of knowledge and experience. Bill enjoys spending time with his wife, children and five grandchildren. He loves being outdoors; hunting, fishing and playing recreational baseball are some of his favorite pastimes. 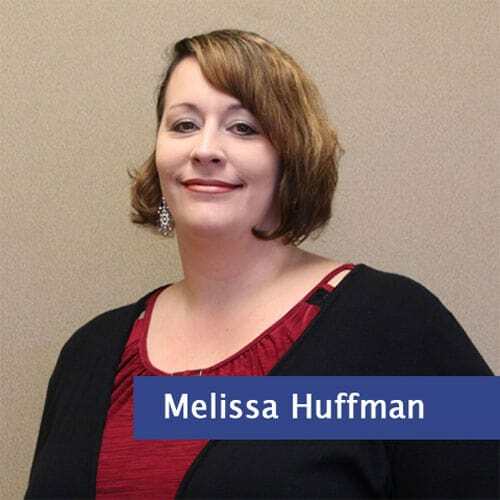 Serving Northwest Indiana with more than 20 years of experience in marketing and senior living, Melissa is the Director of Sales and Marketing at Residences at Deer Creek. She is passionate about serving and engaging in her community and serves both on the Executive Board for the American Heart Association and on the Board for the Schererville Chamber of Commerce, supporting and coordinating community events and meaningful fundraisers in Lake and Porter County. Melissa dedicates most of her personal time and professional development to improving the quality of life for seniors in northwest Indiana. 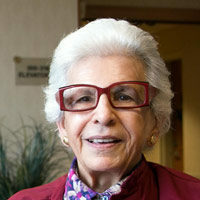 Her warm heart and specialized education make her an excellent resource for seniors and their loved ones. 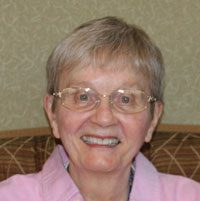 As a Certified Dementia Practitioner (CDP)® through the National Council of Certified Dementia Practitioners (NCCDP), she received comprehensive knowledge in dementia care and has a deep personal commitment to Residences at Deer Creek’s sense of accountability to provide the highest quality of life and quality of care to our residents who have dementia. She is also a Virtual Dementia Tour (VDT ®) Facilitator through Second Wind Dreams®; she is educated to teach all aspects of setting up and conducting the VDT for Residences at Deer Creek staff, along with the general public. This training creates greater empathy and understanding for caregivers and their families. Because of her efforts to serve and improve care for seniors, in 2015, the Indiana Assisted Living Association (INALA) awarded her Outstanding Marketing Director of the Year, a state-wide honor. It truly gives Melissa joy to comfort seniors and their loved ones when navigating senior living options. She also enjoys spending time with her husband and three children, studying holistic and alternative wellness therapies and meditation. Shelley Cohs is the Director of Human Resources at Residences at Deer Creek in Schererville, Indiana, and has more than 20 years of experience along with specialized education. She holds her Master of Human Resource Management (MHRM) degree and belongs to the Society of Human Resources Management (SHRM), holding her Senior Professional in Human Resources (SPHR) credential. She went on to obtain her SHRM Senior Certified Professional (SHRM-SCP). Shelley is passionate about creating a safe, high quality environment in which both residents and staff can thrive. Prior to joining Residences at Deer Creek, Shelley worked for the Visiting Nurses Association, a patient-focused provider of aging, hospice, palliative and grief support services in Northwest Indiana. 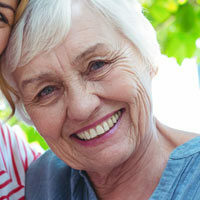 Here, she gained an understanding of and a love for senior care. Prior to that, she worked for the American College of Healthcare Executives in Chicago. Shelley loves partaking in the residents’ daily lives and takes great pride in hiring quality, caring staff. She also enjoys spending time with her daughter, teaching Sunday school and helping with youth group activities, gardening and spending time with friends. Rondi L. Wightman, MSW, LCSW is the Director of Social Services at Deer Creek in Schererville, Indiana. Rondi has extensive experience as a clinical medical social worker and is an advocate for access to health care, as well as for improving health care itself. Her career includes work in solid organ transplantation, mental health and addiction, grief, loss, family systems and active aging. Rondi’s role as Director of Social Services is to provide support and guidance to residents and families. As she assists them with the transition to senior living, Rondi helps residents find meaning and direction in their new phase of life while providing comfort, resources and solutions for family members. She enjoys giving back to the social work community as a Social Work Intern Supervisor. She’s also an adjunct professor at University of Saint Francis and Indiana University Northwest. 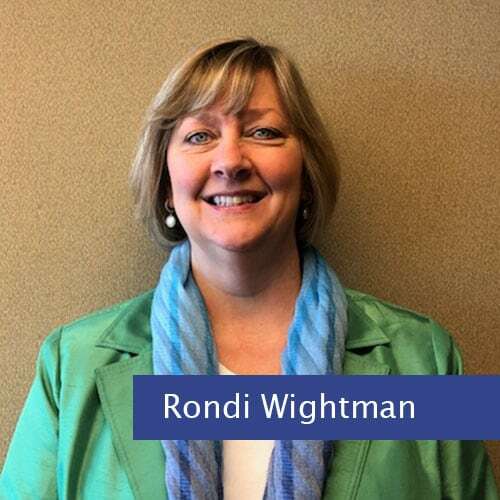 Rondi serves on several boards of directors, including for Duneland Seniors, Porter County Aging and Community Services, and Westchester Public Libraries. She is the Region 1 representative for the National Association of Social Workers’ Indiana Chapter. Rondi and her husband Greg Stinson enjoy volunteering in their community, traveling and exploring new cuisines. Vanessa Schiola is the Executive Chef at Deer Creek in Schererville, Indiana. She has more than 20 years of experience with fine dining, catering, and menu planning and development, as well as in senior living. 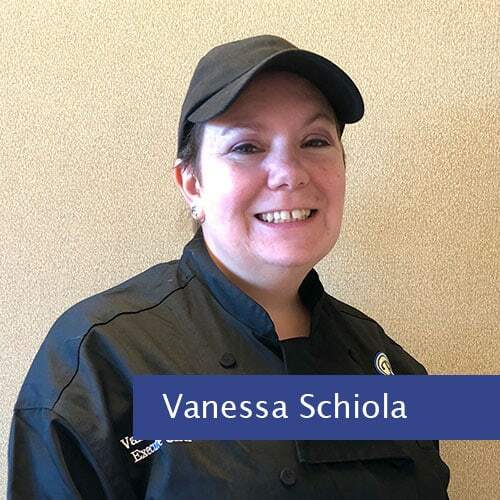 As Executive Chef, Vanessa creates and provides beautiful, delicious and healthy meals for residents, guests and employees. Her culinary philosophy is that food and shared dining experiences bring people together, creating an opportunity for community, laughter and joy. With Vanessa’s expertise, Residences at Deer Creek has won awards through the Taste of Care food competition for three consecutive years. Vanessa feels strongly that the community wins so many awards because the team cares so much. In her free time, Vanessa enjoys keeping up with industry trends in food, healthy cooking and senior living. She also enjoys animals, movies, concerts, muscle cars and traveling with her husband – especially on their annual Disney vacation. Not only is Residences Senior Living a great place to live, but it’s a great place to work! Join the Residences at Deer Creek team today.